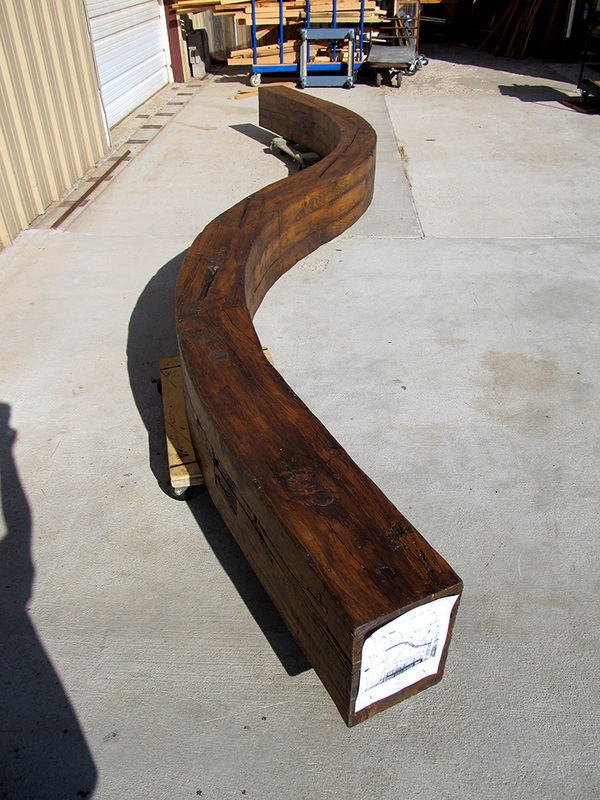 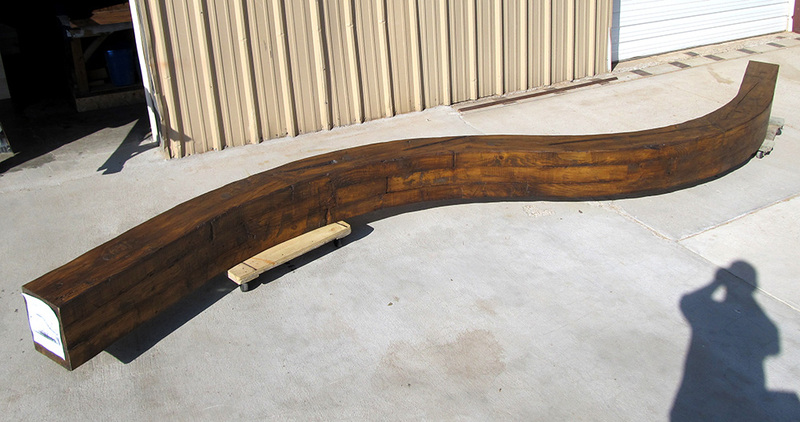 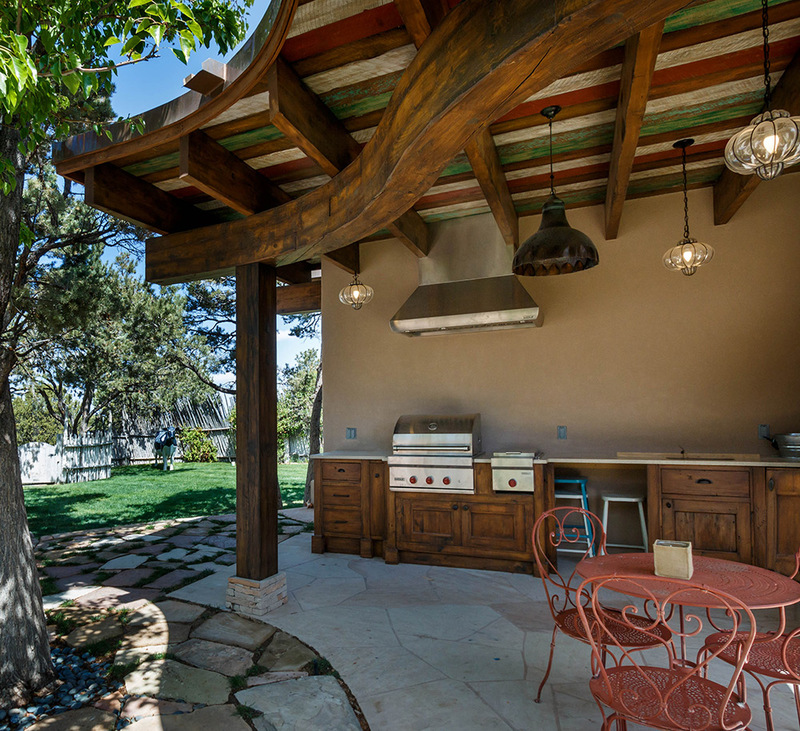 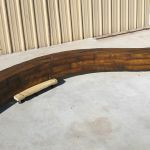 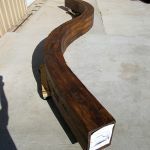 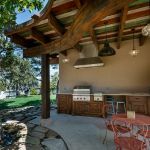 This massive curved outdoor beam is 15 feet long and 10″ x 14″ thick. 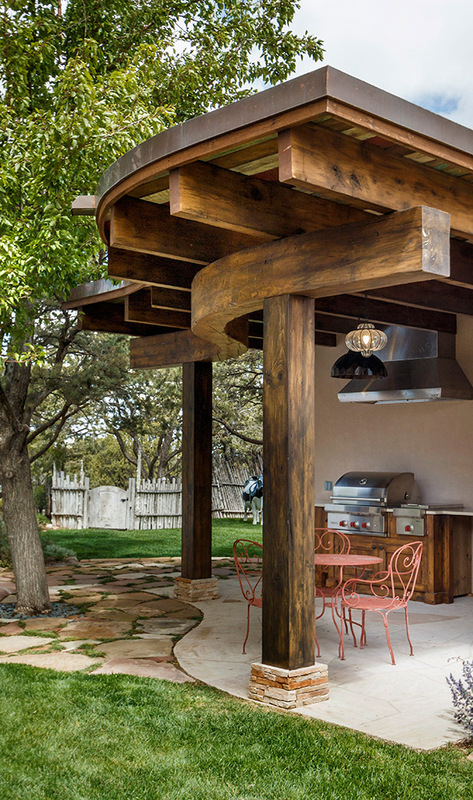 It was moved into place with a crane. 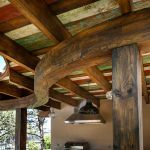 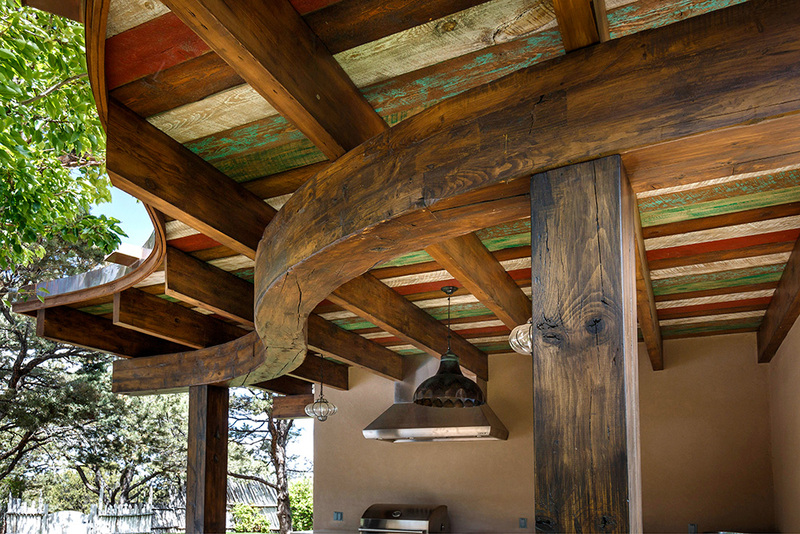 The decorative soffit material features a colorful hand-rubbed patina.